The Airport Experience® Conference is the live extension of AXN, serving as the destination for key decision-makers and executives currently operating in or looking to expand into the industry. The annual event features on-trend and forward-looking sessions, an expansive Experience Hall showcasing existing and emerging concepts, and numerous networking activities. AXN also hosts the Airport Experience® Awards, celebrating excellence in the industry. 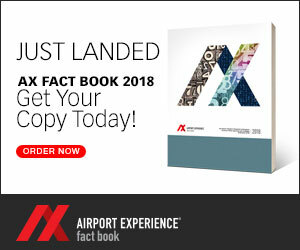 AXN began in 1995 as Airport Retail News, produced as a newsletter by founder Pauline Armbrust. On September 10, 2001, the newsletter transitioned to the magazine format and relaunched at an industry trade show in Montreal. In 2002, Airport Retail News became Airport Revenue News to expand the publication’s focus to covering all sources of revenue beyond food and retail, such as advertising, parking, car rental and development. Three years later, in 2005, ARN launched the first of many conferences. After nearly 20 years under Armbrust’s leadership, Kennesaw, Georgia-based Urban Expositions acquired the company in December 2011. After four years, Urban Expositions, along with ARN, was acquired by UK-based global events organizer Clarion Events.